New Episode of the Hungry Girl Podcast: Ice Cream! 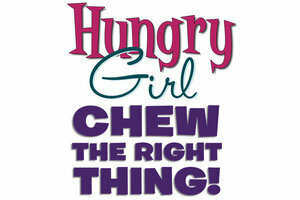 Do NOT miss “The Ice Cream Episode” of Hungry Girl: Chew the Right Thing! Lisa and the gang talk wacky ice cream flavors, healthy at-home hacks, and memories of the ice cream truck. Plus, Lisa’s top fro-yo shop tips (#2 is a game changer! ), an interview with the creator of ENLIGHTENED ice cream, and a special review of Frosty Paws from Lolly. LISTEN NOW ON ITUNES/APPLE PODCASTS... AND SUBSCRIBE! For more ways to listen & subscribe, click here! I’m good about making my own healthy meals, but when it comes to snacks, I usually just reach for whatever’s available. Do you have any recipes for healthy stuff I can make in advance and snack on throughout the week? I love a good DIY snack, and making stuff ahead of time is a GREAT way to break the habit of making snack choices impulsively. Here are a few of my go-to snack recipes… Sweet, savory, and everything in between! Ah, chips… the classic salty snack. But packaged chips -- even veggie chips -- are often loaded with calories. Whip up these instead! Cutting back on empty carbs? These treats pack protein and fiber. Bonus: They freeze and thaw really well! Summer’s coming, and that means light (yet filling) snacks. Go veggie crazy with these creative and delicious dishes. Why wait for dessert? With these healthy recipes, you can snack on sweets anytime! May is National Asparagus Month. This calls for our 6-ingredient Veggies 'n Swiss Chicken Rollups! Your pals need snack recipes... Click “Send to a friend” now!